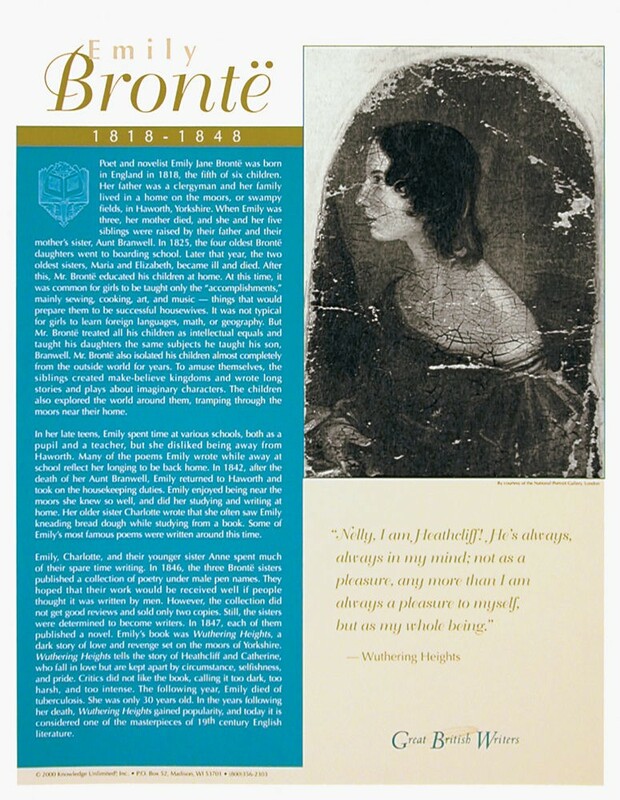 This language arts poster focuses on the great 19th century British author Emily Bronte. It is one of a series of ten posters of Great British Writers. 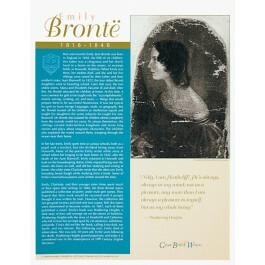 The poster includes a black and white artistic rendering of Emily Bronte from the National Gallery in England, along with biographical text and a quote from her greatest work, "Wuthering Heights."